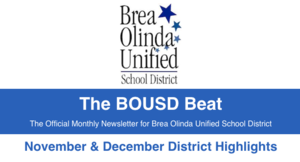 Check out the latest issue of the BOUSD Beat! Click on this headline to view the flyer with additional information! The Brea Olinda Unified School District (BOUSD) Board of Education took action Monday night to revise the name of William E. Fanning Elementary School to align with the school’s new science and technology focus. Following a 4-1 vote, the Board took action to name the school Fanning Academy of Science & Technology. 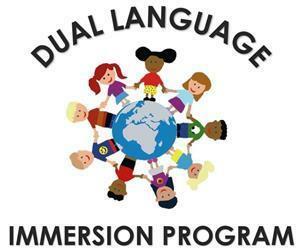 BOUSD is excited to offer a Dual Language Immersion program at Arovista Elementary School beginning in the 2019-20 school year. The program will be available only to kindergarten students in the 2019-20 school year and a new grade level will be added each year as the program matures. Please join us for a special Parent Information Night on February 28, 2019 at 6:30 p.m. at Arovista Elementary to learn more about this exciting program. Registration for new students including Preschool, Transitional Kindergarten & Kindergarten begins Monday, January 14. 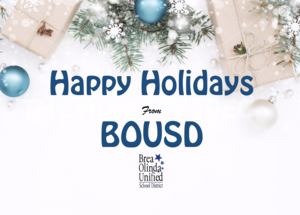 From our BOUSD Family to yours - we wish you a very Happy Holiday season! 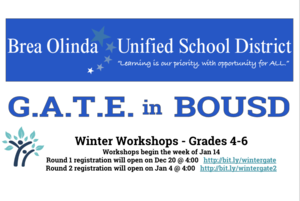 BOUSD Beat - November & December Highlights! 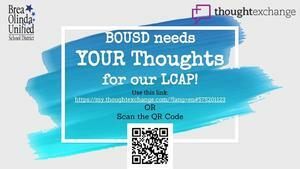 Click on the headline of this news posting to view the latest BOUSD Beat Newsletter! Attention families of G.A.T.E. students! We are thrilled to offer more opportunities for our G.A.T.E. students! In an attempt to alleviate some of the registration problems that we experienced with the Fall GATE Workshops, we are altering our registration process.